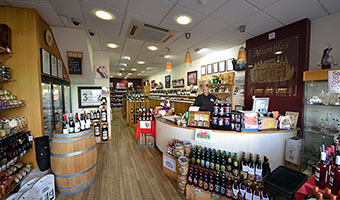 Established in 2006, Mumbles Fine Wines is situated in the heart of Mumbles. 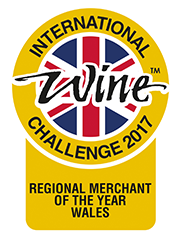 We aim to be different from and better than other wine merchants. A huge range of quality wines is stocked for all tastes and budgets, from the ancient Chateaux of France, through to the new and exciting boutique wineries in the 'New World' such as South Africa and Australia. Emphasis is always on quality, all wines having been hand selected by our experienced tasting team, which includes our in-house Wine Consultant. Whether it's a special occasion or just a quiet night in, we will have the right wine for you. Our previous ownership, over many years, of Chateau Rousseau de Sipian in the Medoc, itself producing award winning wines, has enabled us to source many unusual and individual wines from France and over the last few years we have broadened our search and imported some truly exceptional wines from Australia and New Zealand. Put simply, we strive to find the world's best wines at the best prices for our customers. Our wines are complemented by a superb range of French, Spanish and Welsh foods, which are also to be found within the selection of specialist Hampers, a truly perfect gift all year round. Wine Enthusiasts will further appreciate the extensive wine giftware and we stock many premium ranges of Crystal ware, silver plated wine accessories and all sorts of corkscrews and wine gadgets. Our passion for wine is further reflected in the W.S.E.T. (Wine & Spirit Education Trust) courses we hold at the shop and in our very popular Wine Club, which enables our customers to taste many of the wines prior to purchase. Further information on the wine course and Wine Club can be accessed via the menu bar at the top of the page.